Grade four math is challenging. 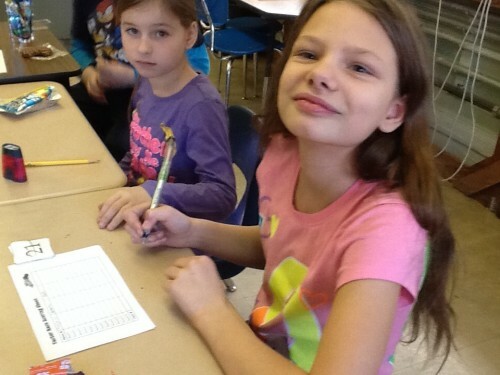 Students were working on remembering factors of numbers while working with partners. This entry was posted in Mr. Hains. Bookmark the permalink.